Congratulations on being ready to take the five-day Fly Girl Challenge. We all have that special outfit that never fails to collect compliments and makes one feel unstoppable every time we put it on. Alternatively, there are clothes that just don’t feel right or simply does not make an impact at all. The most frustrating this is that most often, we have no idea why. It does not matter that it is from your favorite designer or follows the same style as your power outfit. Simply put, something is not quite right. We have an answer. 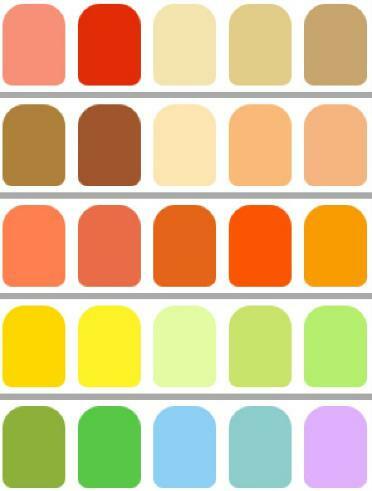 It is very likely you are not using the right color for your skin tone. We will give you some tips that will help you navigate colors and find the ones that most complement you by making you look young and healthy. First, we need to start with the basics. With help from the Carol Jackson 4 Seasons Theory, we can discover what color to use and which ones to avoid. The first thing we need to figure out is the tone is warm or cold. A very easy way to figure this out is to see of gold or silver look best on you by simply placing these colors, using a swatch or jewelry, by your face and evaluating the effect it produces on you. You will notice a big difference as one of these tones will make your skin appear coarse. Another way to explore this quality is my looking at your veins to see if they are green or blue. If gold makes you look better or your veins are green in appearance then the 4 Seasons Theory suggests your are Fall or Spring and that warm tones suit you best. If silver suits you best and your veins look blue, then your tone is colder and your seasons are Winter or Summer. Winter: if your season is Winter, it means that intense and brilliant colors fit you best. Do not be afraid of using fuchsia, blue or red while avoiding colors such as yellow, orange or brown. Summer: Summer color are much more muted and less bright than Winter such as pink, blue and pastel red. Fall: Fall colors, similar to Winter, are brilliant and intense but darker, such as gold, yellow, orange and moss green. These colors are simple and commonly seen in leaves during the Fall. Spring: Similar to Summer but less intense and best kept to pastel tones. An important tip is to avoid black. It is important to remember that the colors that best suit you should be near your face and should be part of your makeup. The other colors should be deployed in your clothes. Take a look through your wardrobe – is it monotone? Splashes of color or a fabulous balance that draws from the entire spectrum? Make a note of where the color balance lies. Select three new colors from your color grouping that could work for you, put them next to your skin. Good? Take a risk and wear these bold new colors for the next three days. Count the compliments you get. Post to our Facebook page and let us know how people responded to your splash of color. Now you have committed to introducing more color to your work chic, you will need to organize your wardrobe. 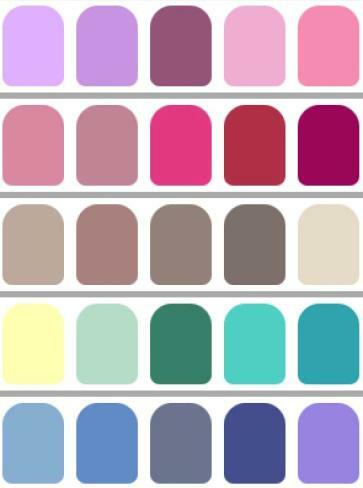 This is a little more time-consuming, but will help you keep the color flowing through your daily choices. Organize all your tops and dresses (anything that will be next to your face) into color groups. Commit to color – wearing the right color for you will make you stand out. Make a commitment to yourself to wear a bold color at least once a week. Stay tuned for Day 2 of the challenge tomorrow. And remember...If you are interested in a personalized color analysis, feel free to visit www.FashionLovesStyle.com to request an appointment. Welcome to Day TWO of the Fly Girl Challenge!! How to try out a new layering style to expand your wardrobe. How are you liking the Challenge? What's your biggest takeaway? Just REPLY to this email and let me know! (If you missed the previous challenges, scroll down to the P.S. for access). Tim Gunn is right – and it goes for all of us too. Your personal style needs a POV because you want to stand out from the crowd. “Come up with original, clever ideas and make sure you're doing at least 12 things different from anyone else in your business category. Getting ahead at work means learning how to stand out from the crowd. Shaking up your personal style is one way to get people to talk about you and make you stand out. But the great news is that you don't need to go shopping, you want to make what you already have go further. I challenge you to get a little creative in your wardrobe. Show your personality and be YOU. Add a splash of color, take two contrasting colored tops and wear them together. Wear a short sleeved sweater over a long sleeved shirt for a hip and 70's inspired office look. Pair it with a well cut and elegant pants. Layer accessories, take a scarf or a man's tie and wear it at the neck of your fave shirt. Skinny scarves are an excellent sly addition to any outfit as they can be worn in so many ways. If your wardrobe is looking too monochrome, how about introducing a pair of bright tights to your look to transform the balance and get attention. 3) Planning ahead takes the panic out of morning dressing. Taking a risk first thing every morning offers an extra challenge that you don't really need to take, if you are like me you fall asleep thinking of what will be the most appropriate outfit for the day ahead, so why not make your life easier by introducing planning into your wardrob? Set aside a little fly girl time for yourself on the weekend or in the evening to have fun with your clothes. Lay out some key pieces and then experiment with laying different separates on top of them. Try them on. Knowing how you look and how you feel in a new outfit is key to being comfortable in it on the day of wearing. Get ready to rock the office. Write up a fashion statement in your imagination. What adjectives would you like to describe you? How are you going to live up to your statement? Work out what percentage of your week you spend at work. OMG, it's a big percentage, it's time to get excited about how you look and how you feel! Dress for success every day – what does this mean for you? Do you dress your best? And don't forget “your best” is how you feel best. Have a little dress up time, just you, your wardrobe and the mirror. Try on different combinations and set out five outfits for the week ahead. After you complete this challenge, hop on over to my Facebook Page (/primandwilde, use hashtag #flygirlchallenge) and tell me your AHA moments from Day Two. Don’t just READ this email, tell me what you’re going DO about it – what’s your next step to loving what you do, doing what you love and feeling great doing it? When you have finished with today's challenge you will be more than half way through. So congratulations on getting this far! Everything Old is New Again. Dive into your closet and pick out a piece you haven't worn in 6 months. Post it on my Facebook Page and I'll personally tell you what to wear it with. I am going to take two crazy risks today – I am going to persuade you not to go shopping and I am to go on a bit of a tangent. So let's take a ride on the tangent first. Discounts. This is something I am really concerned about on your behalf. Discounts are something that we have all become so addicted to, discounts for Spring, discounts for Labor Day, discounts for Mother's Day, discounts for your birthday or just because it's Tuesday. But what does it really mean when I get a discount? It means that someone else is paying an inflated price for the same thing. I believe so strongly in fair-pricing, in everyone in the production chain getting paid a decent wage for their skilled work. This is one of the reasons that I produce in NYC, so I can work with my producers, make sure that they are happy and that I receive a quality product at the end of the day to pass on to you. So next time you are considering buying goods that are made in China, think about the high price of producing far away, the cost to the environment of shipping long distance and the conditions in which your purchases are made. Fashion and accessories that are made in NYC are much more likely to be made ethically and yes they will cost more to produce, so don't look for the discount, look for the quality and you will see the value. My second risk is that I am going to tell you not to go shopping. I think we should appreciate quality over quantity. Retail therapy may make you feel good for an instant, but making long-term quality purchases will actually save you money and make you look more chic. Less is definitely more when worn with style. So... here is the challenge. Re-organize your wardrobe. Take everything out and start to put it back. If you have enough space to create levels then hang your tops on a level above bottoms and dresses on a separate section. Organize by color. Use the color wheel to create a progression. Take something you have not worn for a year and work it into your plan for what to wear this week. Find three things that you don't wear anymore and set them aside. Could you change them? Could you pair them with something new for a different effect? I challenge you to find a way to like these three items again. The next time you feel the need to buy a whole new outfit, find something in your wardrobe that you had totally forgotten about. Make it new again by wearing it with a different necklace, add a belt to a dress or try a totally different pair of shoes. Finally I challenge you to challenge us. Post a picture on our Facebook page of something in your wardrobe that you do not know how to wear and we will give you some ideas of how to shake it up and make it new and fabulous again. This is one of my favorite challenges. Last year WNYC challenged listeners to wear the same clothes everyday, like a uniform. I LOVE this idea and think the Pencil Skirt or the flared skirt f(or a different body type) is the ideal solution. A super simple, but well-made and well-fitting skirt worn in as many ways as possible. What I love most about our own Pencil Skirt is that it has a very chic Parisian cut, long and cut narrow at the bottom. It is made of a stretch wool or a stretch silk so while it loves your curves, it works with them so you aren't squeezed into your skirt, but rather hugged by it. Today is the Bossy Challenge. I hope I have peeked your interest with that. I have spent my career in and out of many offices – fashion, finance, sports and many others. Sometimes I have worked in fashion offices on long projects (like Philips van Heusen or Ralph Lauren) and sometimes I have been hand-picked to work on a single project for a brand like Chanel (I wrote their sales video one season) or more corporate offices like Citibank and even some non-profits. So I have had an opportunity to see a huge range of what people wear in different offices and how their choice of clothes really reflected what they wanted to say about themselves. One thing I noticed, people at the top dressed well, they are unflustered by trivia and appear confident in tense situations. Did they always dress and behave like leaders or did they become more stylish and confident as they took on new, higher positions? My guess is the former. Another thing I notice is that stylish people love “bold”. A bold color, a statement necklace, a dramatic print, They don't over-do bold, but they do embrace it. Take a look at some of our previous posts on What to Wear to a Pitch Meeting, What to Wear to a Presentation or What to Wear to a Business Meeting in France – I am fortunate to cross paths with some intelligent, influential and inspiring women and they all have a bold sense of style that reflects their approach to the world. All these women share certain traits – they are smart, organized, diplomatic, engaging, visionary and...bossy, yes, I said it. Bossy. A term that is often used to stop women and girls expressing their leadership qualities, but bossy is awesome. To celebrate this great quality I have produced a line of “I am bossy” tee-shirts. So today's fifth and last challenge, it's Friday, it's fun and you are going to feel fabulous. Dress like you are the boss. Strut around like you own the place. Set out five things you want to achieve before the end of summer (if five is too many, a minimum of three things). Lay out a plan for how you are going to get there. (Without a plan there is no action). How are you going to improve your status at work? – three actionable items that will make people notice you. What single action could you take to show leadership in your group? Have a great weekend, be bossy and be proud of it.